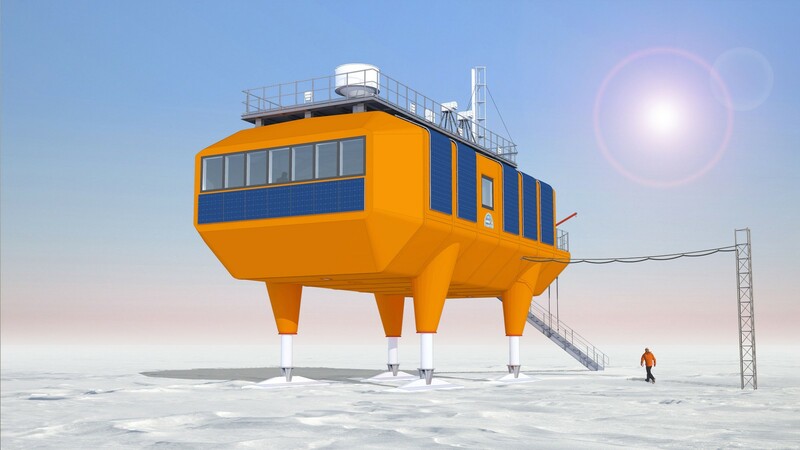 The design for the new Atmospheric Watch Observatory (AWO) has been developed in collaboration with AECOM and CH2M Hill Polar Services for the National Science Foundation (USA) for Summit Station (Greenland). 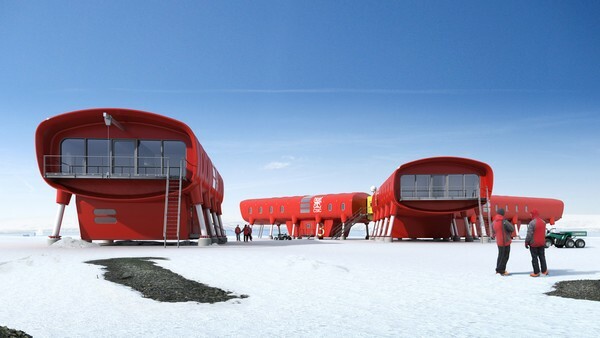 Located at the top of the Greenland ice cap, at 72 degrees north, 3225m above sea level and nearly 400 km from the nearest point of land, Summit Station is a scientific research station sponsored by the U.S. National Science Foundation under a permit with the Government of Greenland and operated by CH2M HILL Polar Services. The station is the home of the Greenland Environmental Observatory, which monitors key climate variables. Snow levels rise by 700mm per annum and temperatures drop to –60ºC in winter. 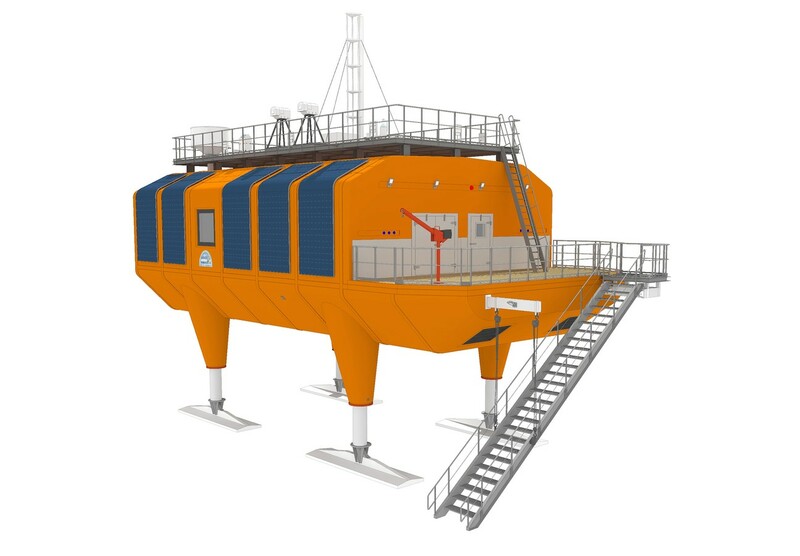 The module is designed to provide year round state-of-the-art laboratory facilities for atmospheric and snow chemistry research. The energy efficient, aerodynamic design maximizes flexibility to suit the ever-changing needs of the scientific research. 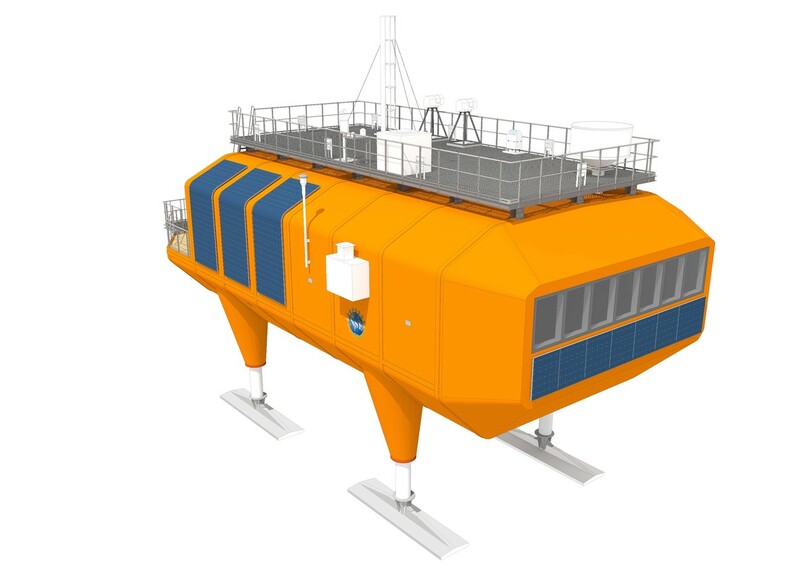 Features include hydraulic legs to help the module climb above the rising snow levels, highly insulated glass fiber cladding and integrated photovoltaic arrays. All materials have to be scrutinized to ensure no risk of pollution through off gassing of highly sensitive aerosol experiments. 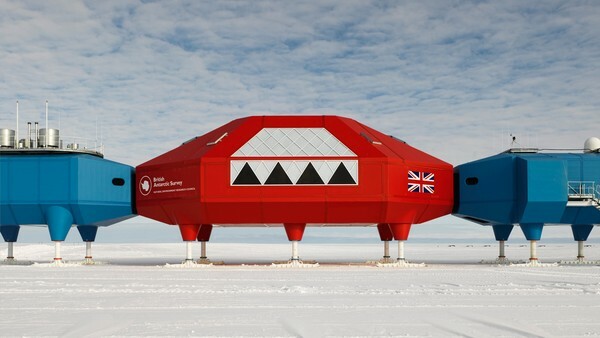 The module could be prefabricated in the USA, shipped to Thule in Greenland from where it would be hauled in sections 730 miles across the ice cap to the station for assembly and commissioning. The AWO will be placed perpendicular to the south-westerly prevailing wind with all access along the downwind elevation. The upwind elevation is maintained in a clean air zone without risk of contamination of snow and air samples by human or vehicular traffic.